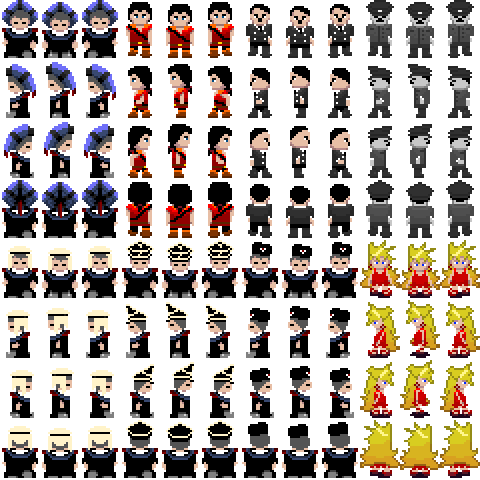 These were the first sprites created. As you can see, they're doubled in size for the game. I do work in pixels, but only small ones currently. Anything you see can be changed.